The greatest wave of communal living in American history crested in the tumultuous 1960s era including the early 1970s. To the fascination and amusement of more decorous citizens, hundreds of thousands of mostly young dreamers set out to build a new culture apart from the established society. Widely believed by the larger public to be sinks of drug-ridden sexual immorality, the communes both intri… gued and repelled the American people. The intentional communities of the 1960s era were far more diverse than the stereotype of the hippie commune would suggest. A great many of them were religious in basis, stressing spiritual seeking and disciplined lifestyles. Others were founded on secular visions of a better society. Hundreds of them became so stable that they survive today. This book surveys the broad sweep of this great social yearning from the first portents of a new type of communitarianism in the early 1960s through the waning of the movement in the mid-1970s. 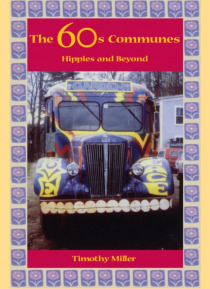 Based on more than five hundred interviews conducted for the 60s Communes Project, among other sources, it preserves a colorful and vigorous episode in American history. The book includes an extensive directory of active and non-active communes, complete with dates of origin and dissolution.